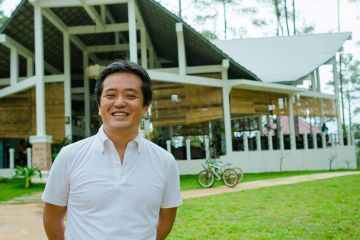 One of the greatest midfielders of all time is coming to Japan. 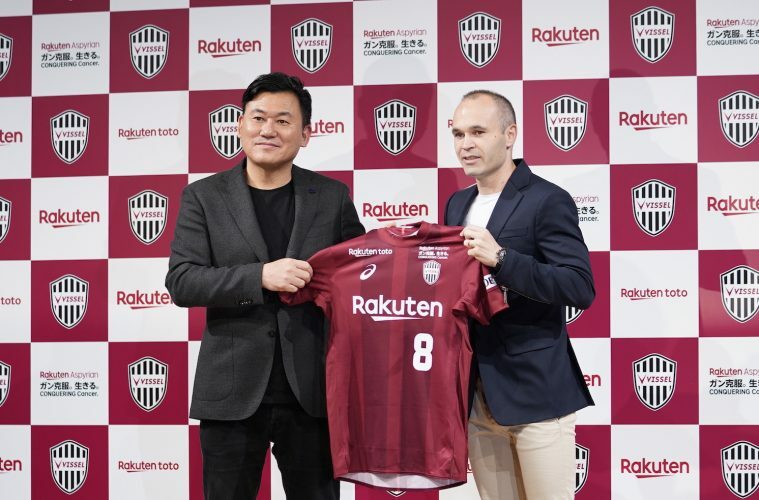 As announced earlier today in Tokyo, Andres Iniesta will make his J.League debut in Japan’s professional football league with Rakuten-owned Vissel Kobe, starting from the 2018 season. 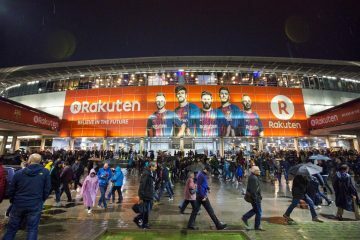 The news follows months of speculation about the former FC Barcelona captain’s next destination after he announced his departure from the club at the end of the La Liga season. 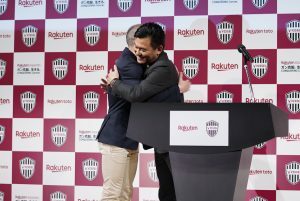 I want to help not just my new club but the whole J-League grow throughout Asia,” said new Vissel Kobe signee Andres Iniesta, on stage in Tokyo. 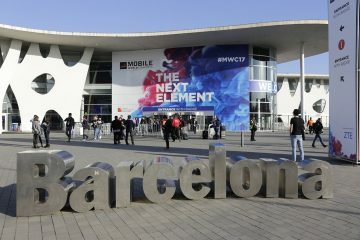 The 34-year-old Iniesta is widely regarded as the best Spanish footballer of all time, as well as one of football’s greatest central midfielders overall. Many international spectators remember his performance during the 2010 FIFA World Cup final, as he scored Spain’s winning goal against the Netherlands well into extra time, securing Spain’s first ever World Cup Championship. His 22-year career with legendary FC Barcelona saw him help the team to 32 titles, during which time he accumulated a record 34 trophies including the UEFA Best Player in Europe Award and the Golden Foot. Iniesta played an integral part in FC Barcelona’s two European treble-championship campaigns (winning La Liga, Copa del Rey and the UEFA Champions League in the same year) and taking over the role of team captain during the 2014-15 season. 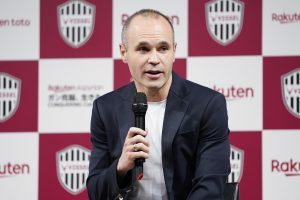 Known for his strong leadership and ability to make the teammates around him better, Iniesta will also take on an additional role for the club of “contributing to the development of the next generation of players through the introduction of the Iniesta Methodology to Vissel Kobe’s youth academy,” added Mikitani. 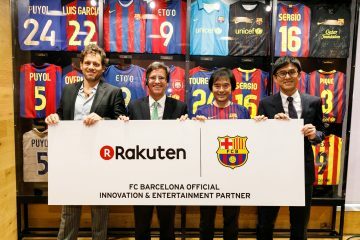 In response to a journalist’s question about why he decided to come to Japan, Iniesta pointed to the trust shown by his new club. 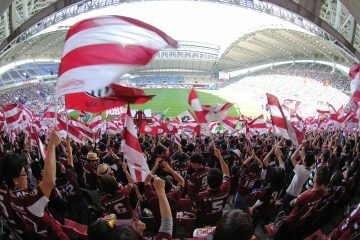 Vissel Kobe ranks in the upper echelons of the J-League tables, but this addition to the team may make the difference in attaining league victory in the near future and achieving the team’s new goal of becoming number one in Asia. 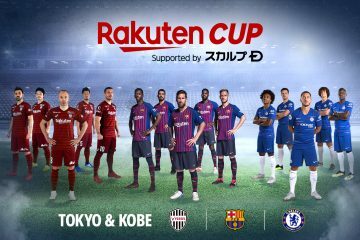 When Iniesta takes to the field for Vissel Kobe this summer, he will be doing so with strong homegrown talent and another international star. 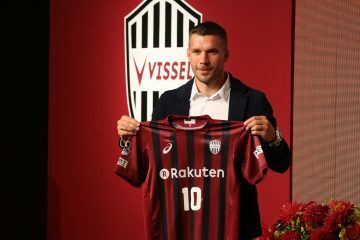 Last year, the club signed German football icon Lukas Podolski to a multiyear deal and he has rapidly acquired a dedicated fan following. 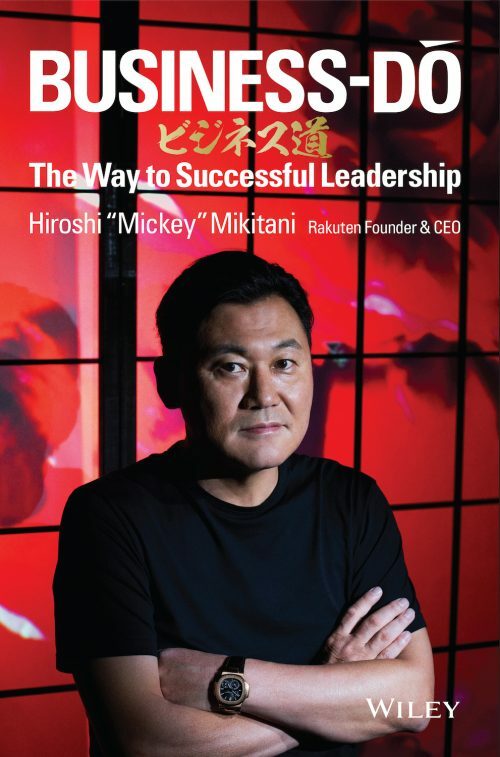 Vissel Kobe was founded in 1995 in the heart of Western Japan, also the hometown of Rakuten CEO Mickey Mikitani, and acquired by the Rakuten Group in 2015. 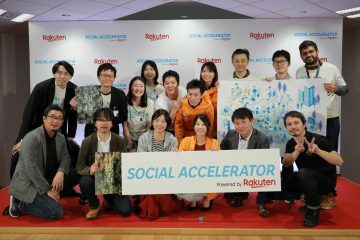 This will be the team to watch in the J-League this season and beyond!